Samuel Molina is the California state director. He was born and raised in Fresno, California. He credits his mother as one of his greatest inspirations after realizing her struggle and what it took to raise a family out of poverty. He has since decided to dedicate his life to ensuring that no other family has to experience what he did. Samuel began with Mi Familia Vota in April 2014 and has risen through the ranks from lead organizer to leading our California operations as state director. 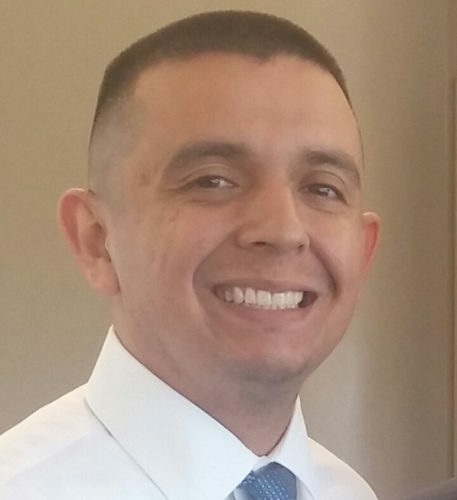 Prior to his work with Mi Familia Vota, Samuel joined the United States Marine Corps Reserve in May 2008 and completed his service as a Corporal. He graduated from Fresno City College and earned a bachelor’s degree in Criminology from California State University, Fresno. After receiving his degree, Samuel sought to serve his community by engaging them in civic participation to spark change on issues important to them. He believes communities benefit most when everyone is involved in our political process and engaged in local politics. He remains committed to creating new leaders and uniting his community. In 2018, he received the esteemed Latinx Community Leader Health Equity Award from the Latino Coalition for Healthy California. Under his leadership, Mi Familia Vota California has; registered over 40,000 voters, helped in the establishment of citizenship corners in Fresno county libraries, the Fresno USD Dream Center, and also played a pivotal role in helping pass AB918 Voting for All Act.